At a modern point cell phone market grows a lot and many Internet leaders are attempting to make most from it. Keeping eye on this Microsoft Tag recently come up with a infographics which completely shows that mobile market is large, local searches, games and YouTube doing pretty well on Mobiles. To better illustrate the growing mobile marketing opportunity, take a look at these infographics we found to be the latest and most up to date. This picture shows the total mobile market size and the shares of more than 40 countries of the world in the industry! 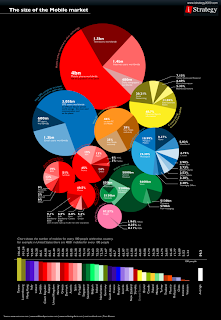 The chart below responds to the number of mobiles for every 1000 people within the countries! 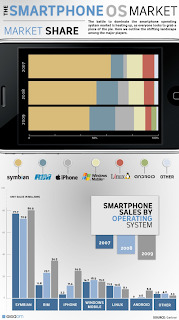 Now let's see what is the share of the smartphones in this huge market. 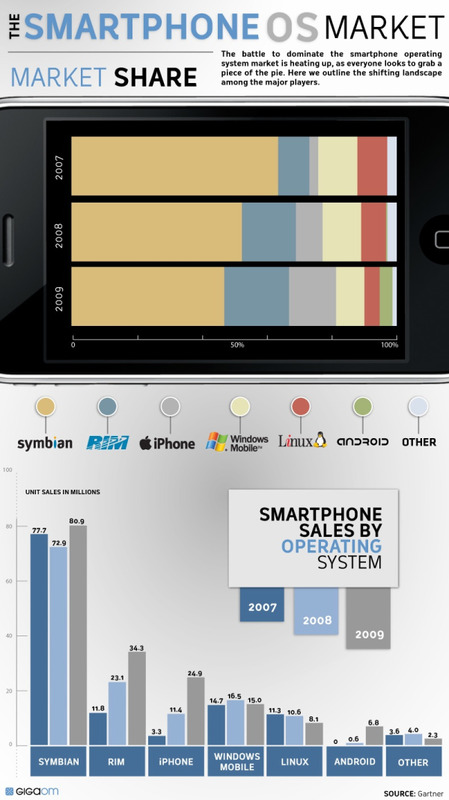 The second picture shows the outline of the shifting landscape among the major players of the smartphone OS market.